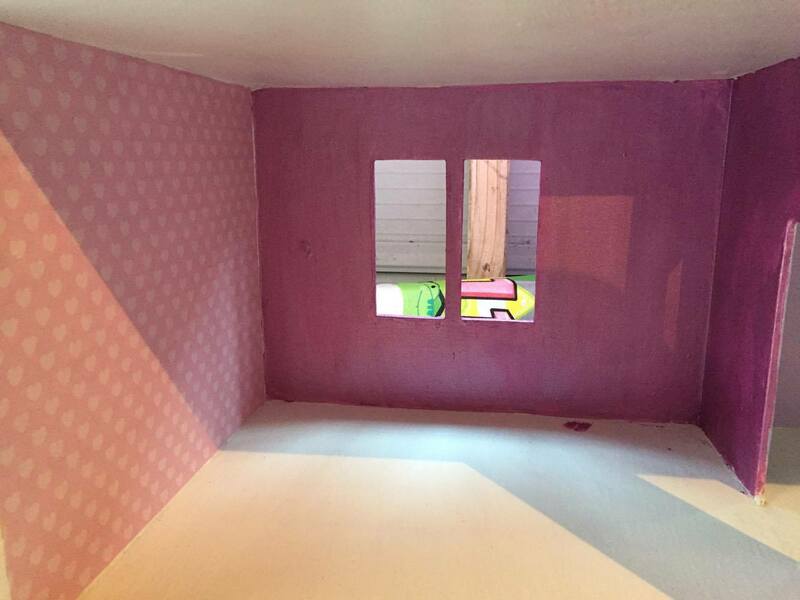 Welcome to Part Three of Project Dollhouse. Little Miss is now four years old, she had her birthday this week. Wow, its crazy how quickly time flies. 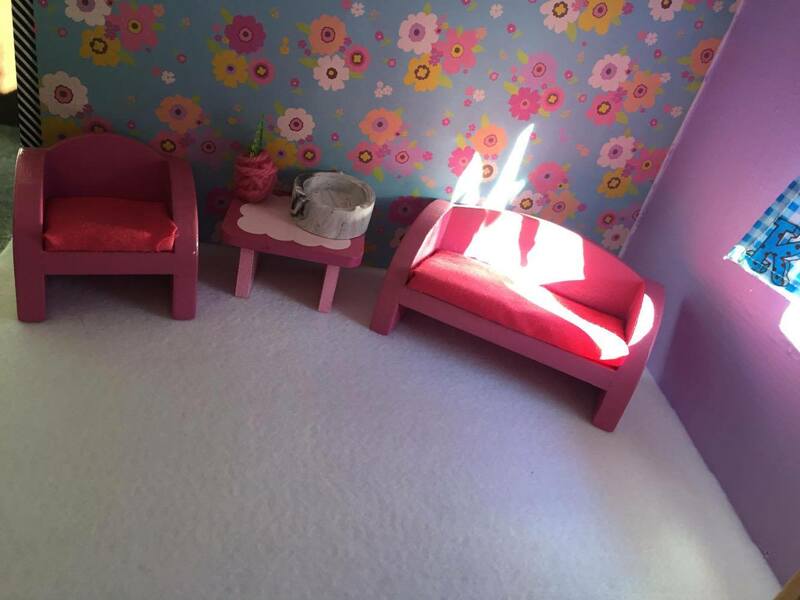 My husbands parents, along with her aunt and uncle gave her some furniture for the dolls house as a birthday present and lets just say, she was one happy girl. 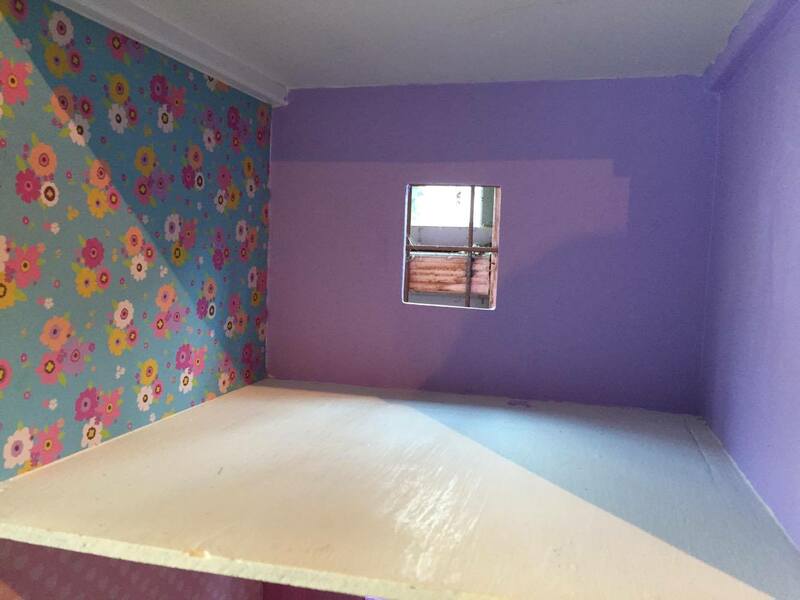 It was no secret to her that I was working on a dolls house for her birthday, she would often look at it with pride whilst I was working it and never once asked to have it before her actual birthday. I wanted to share some photos of the finishing touches I did. There are still some things I would like to add to the house, but to me it is work in progress and it is great to see Little Miss enjoying her dolls house. I mentioned in Project Dollhouse: Part Two that I was going to attempt to make some curtains, well lets just say they didn’t go according to plan. I thought it would be relatively easy to hand sew them, but I was wrong. Luckily, a friend offered to loan me her sewing machine and then she offered to sew them for me. I took her up on the offer, and the curtains look FAB! 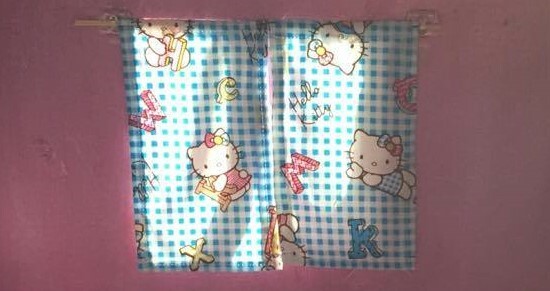 Awesome curtains. They are hanging on a bamboo skewer cut down to size and I used some 3M hooks to hang them up. I personally think the curtains look great and Little Miss is really pleased with them, I know just need to get something that I can use to pin back the curtains and something that is safe. Little Miss’s brother Mr Happy is 2 and he is also a fan of the house. Any ideas would be appreciated, I’m thinking Bakers Twine would be quite good, but then it could get lost and I’m not sure how Little Miss will get on having to tie them back all the time. I used the colour Perfume in two of the rooms as I thought it broke up the pinlk, plus I loved it! As you can see on some of my photos, my painting is not the best and my lovely Father even commented that my finishing wasn’t the best. I will agree with him there. I know I’m not the best painter and I don’t pretent to be. At the end of the day I was painting the doll house for Little Miss and I’m sure she isn’t going to criticize my painting skills. So there were quite a few pait marks on the floor, but I didn’t mind as I knew I would be covering it. At first I thought about putting scarpabook paper onto the floor, I had a few papers that could easiely pass for flooring. I tried them out and didn’t like it. I then thought of carpet, but decided against it as I thought it would be too bulky and I thought the dolls and the furniture wouldn’t sit nicely. Also, I knew Little Miss would get highly frustrated if her doll house accessories would fall over! so, I then thought about felt after someone suggested it. I don’t have any felt at home so I had to hit the art and craft shops. I immediately thought of black, but when I looked at it I just knew it would be too dark. After looking at the other colours I decided on white. And I reckon it looks perfect. I bought half a metre as it was cheaper and I had enough for the four rooms plus the loft room and I had a little left over. I used superglue to stick it down, after it had dried the ends started to lift so I used double sided tape to stick it down. And now it looks perfect and even looks like real carpet. White felt as carpet, before I used double sided tape. Can you see on the photo that there is also some black and white washi tape covering the edges?! More on that next time. 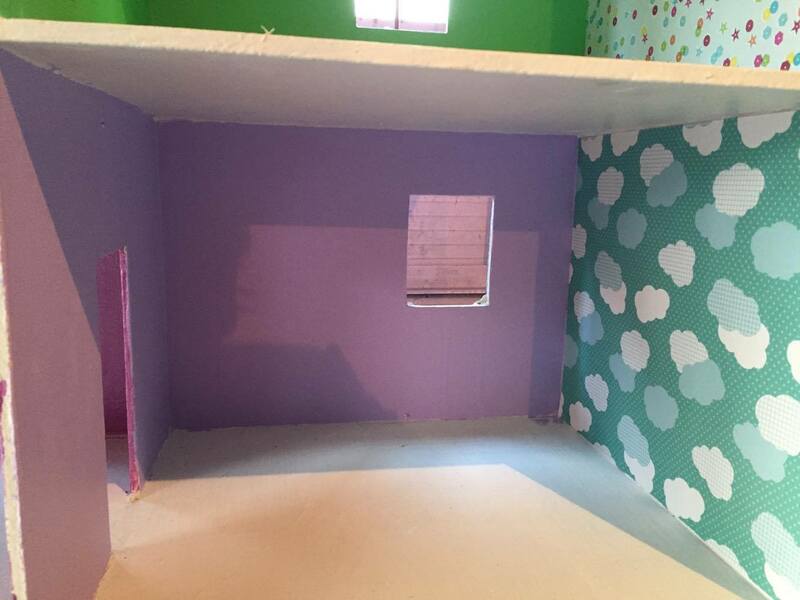 I think I will save a more on the doll house for a fourth and final post Project Dollhouse: Part Four. 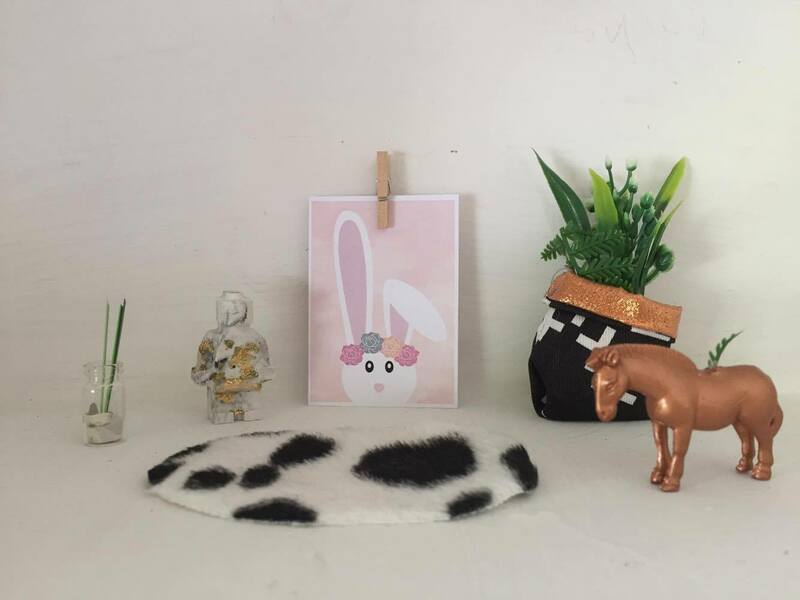 Following on from my first blog post Project Dollhouse: Part One I thought I would share how I have been ‘doing up’ the four rooms in the Dollhouse. 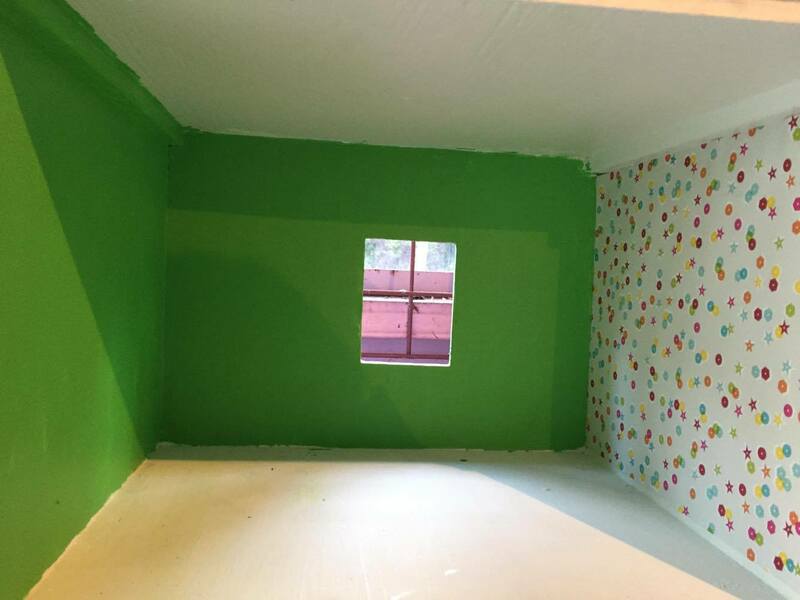 I started with Perfume in the top left room and I decided to paint two of the walls in these colour and leave a wall white to cover in scrapbook paper. I then painted another room in Wham and a third room in Sugar and Spice. Painting just two of the walls and leaving the third wall blank for some scrapbook paper. I was tempted to go back to Resene and get another test pot to paint the fourth room but I decided against it. The rooms were already looking pretty colourful and busy and I thought another colour would be too much. Yes, I know its already a bit much huh? But, it is for a soon to be four year old. I settled on painting the fourth room Perfume. I felt it broke up the pink, plus I wasn’t overly happy with the green of Wham. (I have since decided I rather like the green and it gets Little Miss’s seal of approval). I did two coats of each colour which I think looks fine. 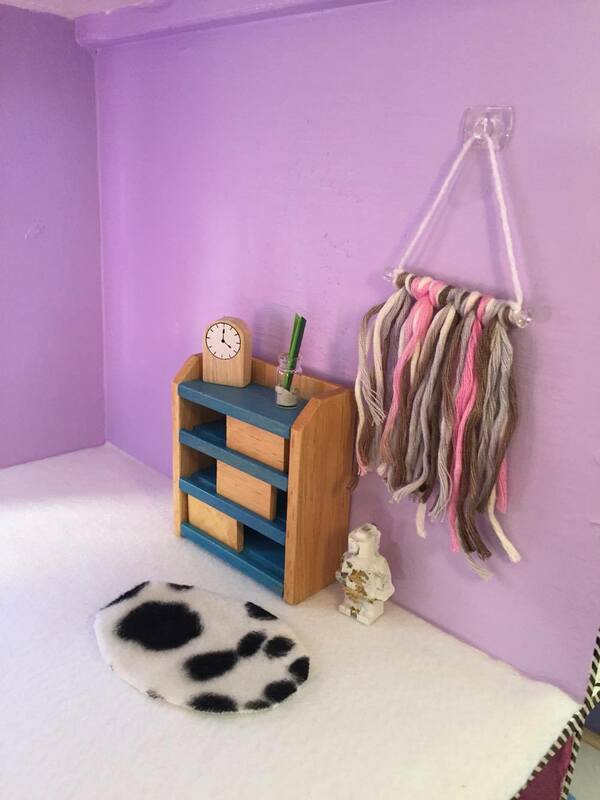 I was lucky enough to be gifted some AWESOME items from Emma of Luluncat, she has made and put together cute packs for dollhouses. Litle Miss has seen the items already and she was as just as excited as I was about them. I love seeing what people can create. Playing around with the cute decor items. 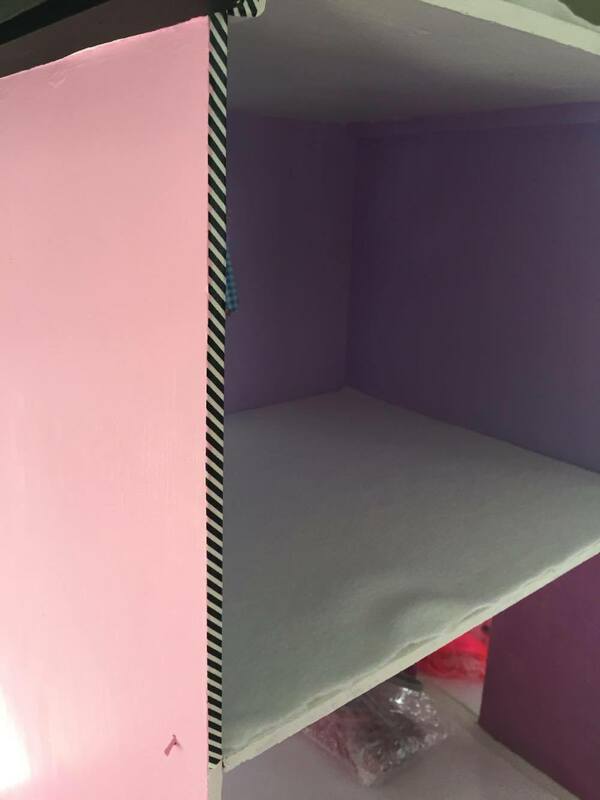 I found some great ideas for things to include in the dolls house that I hadn’t thought about, including a pin “How to Hang Doll House Curtains”. I’m not a very good sewer and I don’t have a sewing machine so this seemed a perfect idea for me to add curtains into the house. 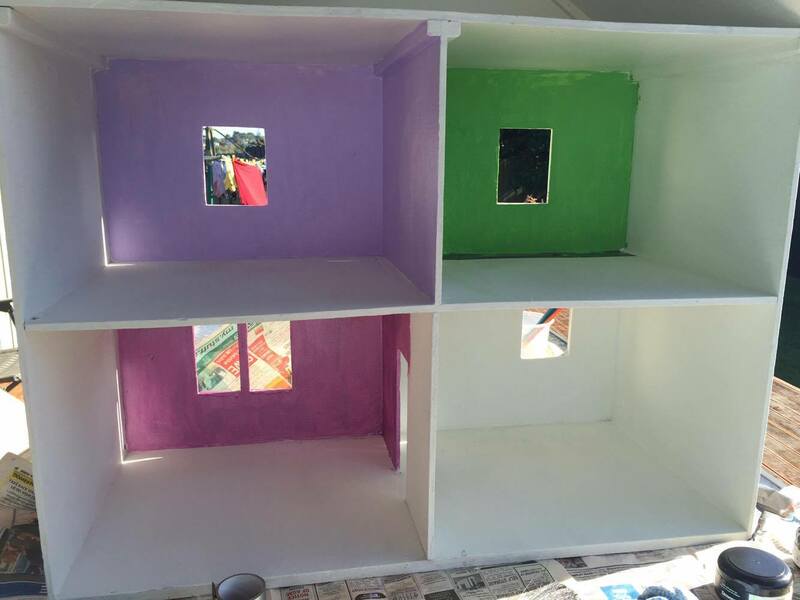 I started my own Project: Doll House board on Pinterest if you wanted to check it out. It might give you some ideas if you are thinking of doing a similar project. I can waste lots of time checking out what other people have created. 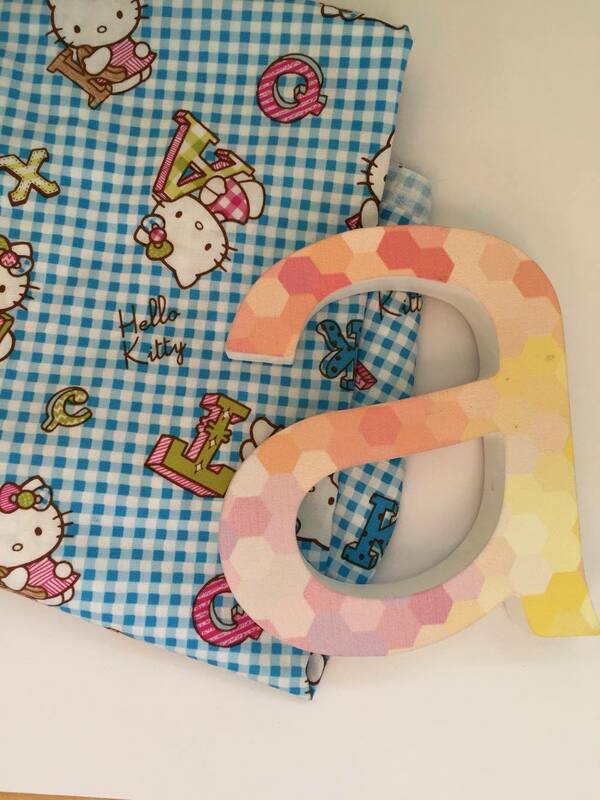 I have purchased some cute Hello Kitty material that I know Little Miss will love. My plan is to make curtains for each of the rooms and then perhaps some cushions, I will see how I go with the curtains first! There was a lot of Hello Kitty material to chose from, but I settled for this one mainly due to it being on sale, haha and it was good to have something else that wasn’t pink! (I also found this letter ‘A’ amongst my stash of stuff and I have had some thoughts of incorperating this into the house). I think the material will look really good against the colours I have chosen to paint the walls. After the two coats of paint I raided my scrapbook paper stash and started looking at what would compliment each room. I also tried to pick papers that I knew Little Miss would love, the brighter and more colourful the better I thought. I’m really pleased with how the house is looking, but still a little more to do. Hopefully next time I will be able to share how I got on with the curtains and I’ll share some photos of the rooms. Until next time…….